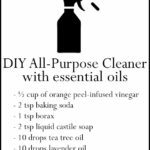 Learn how to make your own diy essential oil disinfectant spray using simple ingredients! A disinfectant spray is one which is used to kill of germs from any surface. 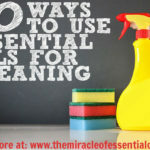 Common disinfectant sprays like Lysol are popularly used to keep surfaces around the home germ-free. But did you know commercial disinfectant sprays are riddled with lethal chemicals and toxins? The synthetic compounds contained within commercial disinfectants are known to be cancer-causing substances, neurotoxins and immune-suppressants! 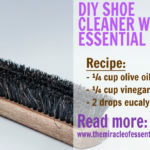 If you have babies and pets around the house, or if you have a compromised immune system – heck, if you are health-savvy, then you need to quit store-bought disinfectants and make your own diy essential oil disinfectant spray! And why not – it’s extremely easy to do it! Believe me when I say this recipe is extremely simple! Yet it works powerfully against germs and bacteria! 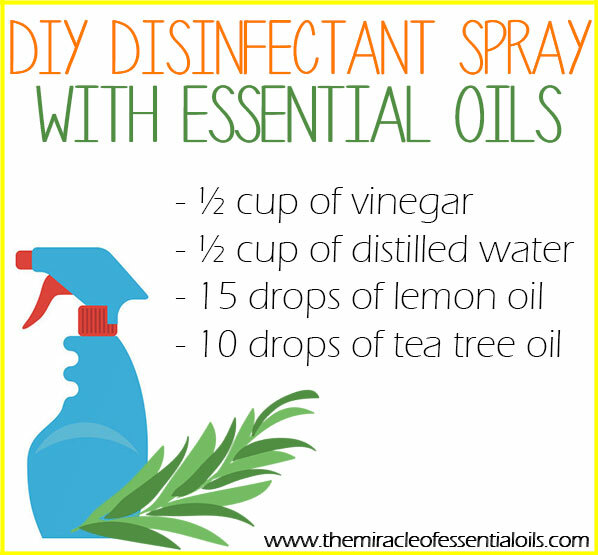 In this recipe, we shall be using a natural, non-toxic disinfectant that’s available in every house! That’s vinegar! You can use any type of vinegar, preferably white vinegar. Vinegar is acidic and anti-microbial so it kills off germs faster than you can say ‘disinfect’! Another powerful ingredient we’ll be using are essential oils! Tea tree is the heavy weight champion when it comes to killing pathogens. Lemon essential oil is also a powerful disinfectant, which has the added benefit of deodorizing surfaces and imparting a lovely citrusy scent! Directly into your spray bottle, pour in your vinegar. The next step is to carefully drop in your essential oils. Now screw on the spray nozzle and shake vigorously. This will emulsify the essential oils and mix them thoroughly into the acidic vinegar. Open the nozzle and now pour in the water. Close the nozzle once again and shake it all up. 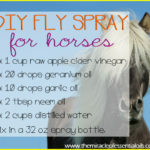 Your diy essential oil disinfectant spray is now ready for action! Spray all surfaces such as kitchen counter tops, bathroom counters, sinks, door knobs, table tops and others with your disinfectant spray. Wipe away with a microfiber cloth or disposable towel, if needed. Be careful when using on wooden furniture and leather. I’ve had no problems using this spray on wood furniture. 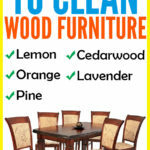 I always condition my wood with my diy wood furniture polish. As for leather, I recommend you avoid this disinfectant as it may be too harsh for leather surfaces. 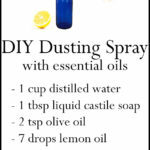 Do you have your own recipe for diy essential oil disinfectant spray? Share with us in the comments below!